This gift is on fire. 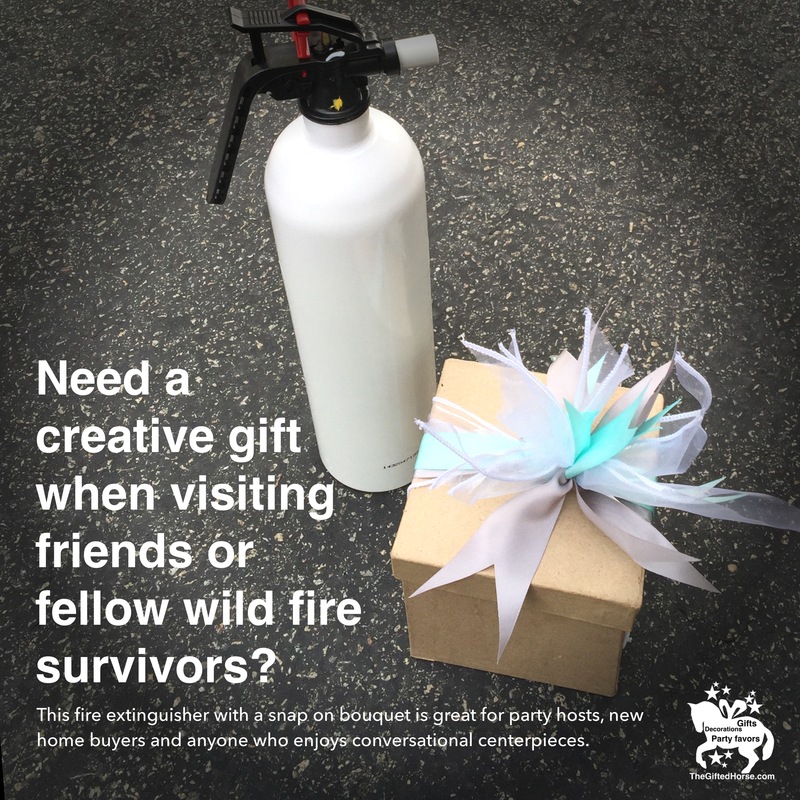 Need a creative gift when visiting friends or fellow wild fire survivors? 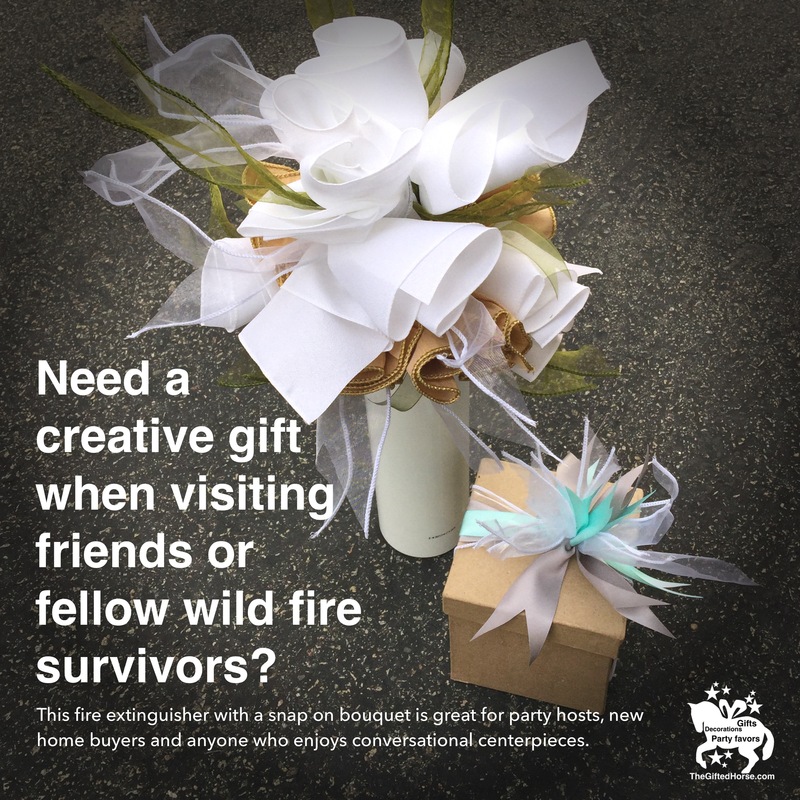 This fire extinguisher with a snap on bouquet is great for party hosts, new home buyers and anyone who enjoys conversational centerpieces. 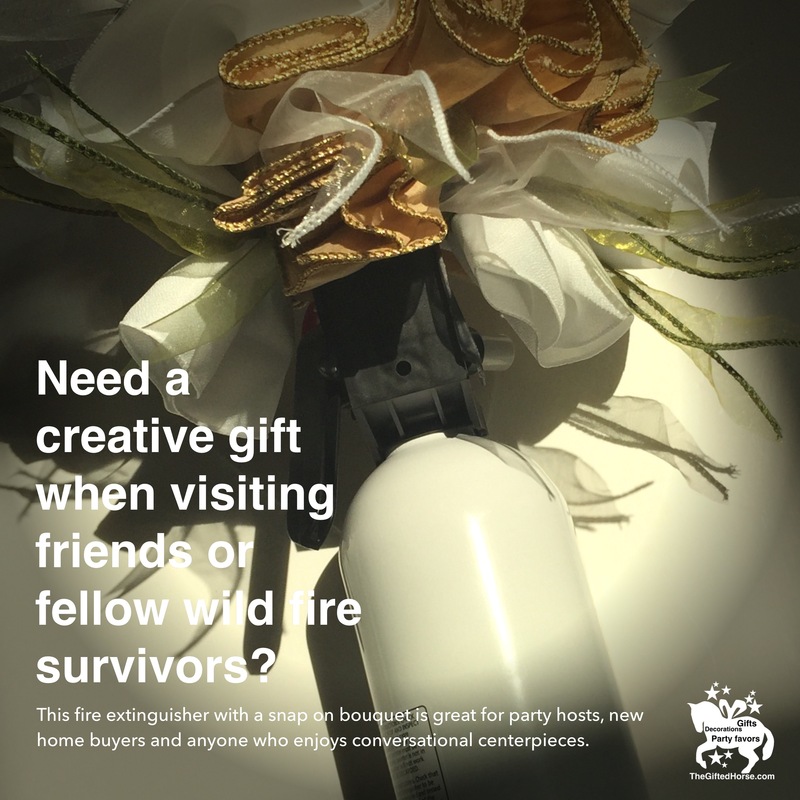 Need a creative gift when visiting friends or fellow wild fire survivors? Nearly one year after the Southern California wildfires of Summer 2014, the severe California drought conditions cast a shadow on the carefree days of Summer fun. Yet, parties and positive attitudes continue to thrive. If your positive outlook is heading to a party this summer, here is a useful gift that doubles as a beautiful arrangement. The typical household fire extinguisher is attached to the wall in a rather unsightly view. Now, you can have the fire extinguisher in clear view. Using bows instead of flowers, this bouquet is sure to last forever. Use a snap on BOWquet. Three easy steps to create your own conversational centerpiece. 1. Flip the wall attachment clip that comes with the extinguisher upside down. 2. Tie on your BOWquet. 3. Clip on the decorated wall attachment to the neck of the fire extinguisher.